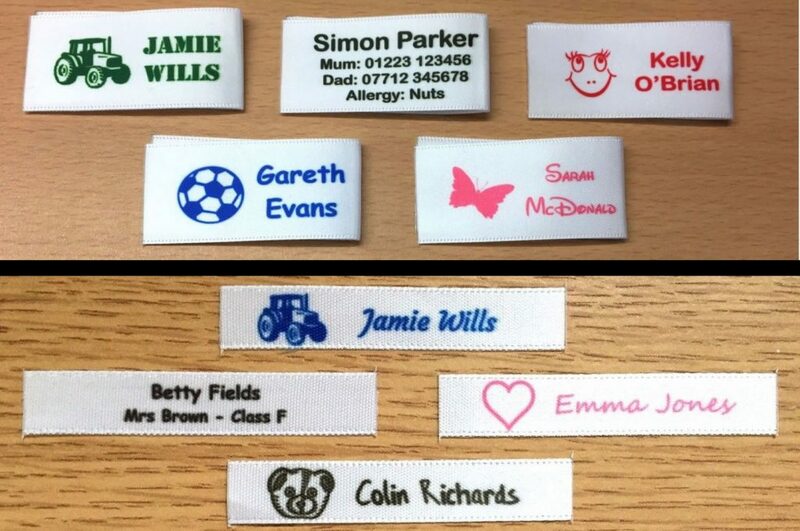 If you make your own items whether you are starting your own business, have an existing business or are simply making a few items for friend and family a bespoke made for you label is a great way of adding a finishing touch. We can supply a full range of bespoke made for you labels that include several ready made labels that can be personalised with your details e.g. name or you can supply your own logo or artwork and we will work with you to produce something truly bespoke. Primarily we manufacture personalised name labels using a bespoke process we have developed, this process allows use to offer labels that can be highly personalised, printed in full colour and are incredibly durable. Our label durability means that they will not fade and are longer lasting compared to similar looking products, we have conducted several tests to back up our claims. Our testing has included washing in both bio and non-bio washing detergent, very hot temperatures e.g. 100c+ and even soaking name labels in concentrated bleach with no adverse effects. Our standard personalised label options include 10+ fonts, 20+ solid print colours and 50+ optional motifs in various categories e.g. girls, boys, transport, sport and many more in case you would like to use one. Additionally any label attached your items should last and look great for years to come, this is something we can offer unlike other sellers. Our labels are sew in and are made from a high quality super soft double sided satin ribbon material, each label is cut and sealed to prevent fraying and save you time so when they arrive all you need to do is just sew them in. All of our labels are produced at our Cambridge UK production facility using an in house bespoke method which has been thoroughly tested and has a proven track record with thousands of name label sales and many hundreds of happy customers (see feedback). If requested we can also send you a preview of your design before shipping, every order is sent in safe secure packaging and we use a fast delivery service such as Royal Mail 1st class as we know it’s important you get your labels quickly.